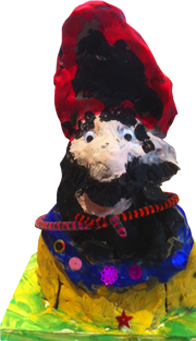 At our Afterschool clubs the children look at artists and current exhibitions for inspiration and work on a varied programme of activities creating 3D sculptures, drawings and paintings each term. The children have the chance to expand their techniques and artistic potential, whilst using high quality materials and they get to take all their wonderful creations home! Suitable for Years 1 -6 we can provide a single class of 12 pupils with one artist or a double class of 24 pupils with two.